Royal Enfield officially revealed KX Bobber 838 concept at the EICMA 2018 and the company will introduce production model based on this concept by the end of this decade to take on established rivals like Harley Davidson and Triumph. The work on KX Bobber Concept started in 2017 as a fun project and the design took some inspirations from original 1140 KX Bobber from 1938. The front gets LED headlamps and the fuel tank design is completely different from any other models. The company has given single piece seat for the concept model with mono shocks at the rear. The LED tail light is placed on the fender, which gets a simple design. The handlebar is a single piece unit and the instrument cluster is fully digital. The company hasn’t given details about engine specification and the concept wear 838 badge, which confirms that the production model could be powered by 838 cc V-Twin engine as earlier reports suggested that it was developed with Polaris Industries as a special project. Eicher Motors which own Royal Enfield announced its new partnership with Polaris in March 2018. The engine will be BSVI complaint and it could produce around 90 bhp of power. This engine will be mated to a 6-speed gearbox and the company has given two disc brakes at the front while the rear gets a single disc. The production model will come with dual channel ABS as standard along with lots of safety features like traction control system. We reported a couple of months ago that Royal Enfield is working on 12 new bikes and these products are expected to reach the market in the next five years. 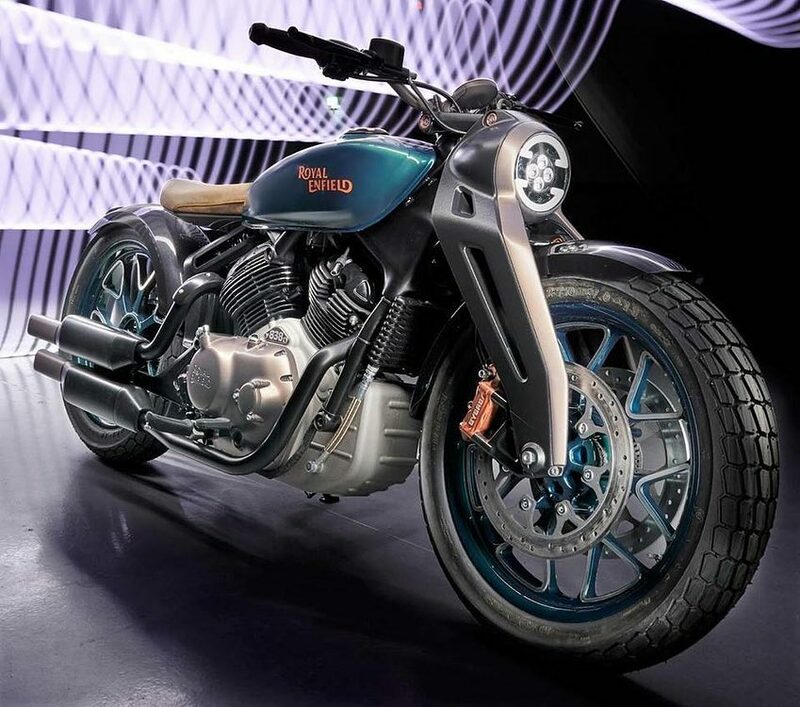 The KX Bobber production model will be based on the new platform and the focus of this platform from development was to take on premium motorcycles brand in a global platform. Royal Enfield is currently planning to introduce the new Interceptor 650 and Continental GT 650 in India. These new models are manufactured in India and exported to global markets, we can expect the company to price these models aggressively as deliveries might begin only in 2019. The 650 Twins will be priced aggressively around Rs. 3 lakh mark.